"This is an important, thinking person's play. It is well acted and nicely engaging. Jack lives in the moment enjoying each simple thing life offers. We quietly cheer for Jack to survive, his ultimate goal. Desipte his loathsomeness, Jack is us." 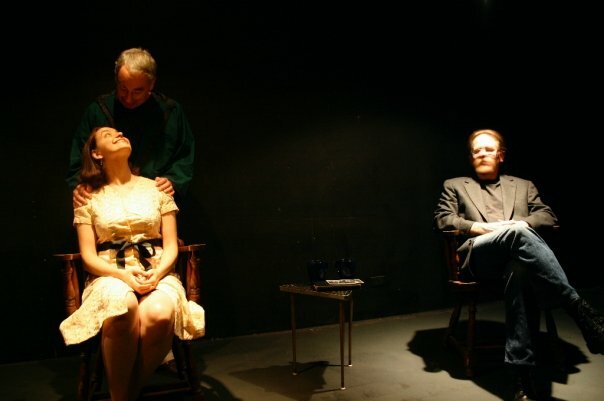 The emotional lives of three individuals living through a literal culture war were put on display in August 2007 at the side project theatre company's side studio. Shawn presents the audience with three characters, whose simple confessions to the audience echo a world frighteningly close to our own, in which intellectualism is damned and feared. Jack has surrounded himself with the intellectual elite, and eventually finds himself rallying against the very type of life he was striving to live. This powerful Shawn play, while quiet in its execution, seeks a connection to the audience like few plays do, and is chillingly relevant to our day and age.